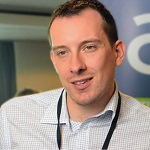 Graham Jenner is Partnerships Director at TopCashback. Graham manages TopCashback’s Partnerships department, the team that helps to understand and achieve client’s objectives. His role involves developing relationships with key merchants and networks and consulting on strategy. Prior to joining TopCashBack Graham worked at Digital Window looking after key brands such as T-Mobile and Game.